The German Federal Employment Agency is currently hiring qualified Filipino Nurses to fill up their manpower needs in the healthcare sector starting 2016 until the year 2020. Check the available positions, qualifications, salaries, benefits, and deadline of submission of application. 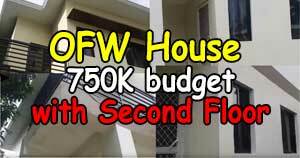 Those who will be hired will receive a starting gross monthly salary of €1,900 or PHP 98,000. Monthly salary of €2,300 (gross) or PHP 120,000 will be given after being recognized as a qualified nurse. 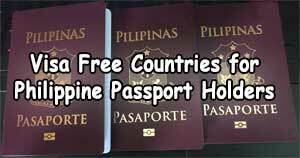 The employer will pay the visa and airfare from Philippines to Germany. The employer will also assist the hired nurse in finding the accommodation; however, the latter will shoulder the expenses (part or full) of the board and lodging. The job is open for Filipino citizen (male / female) and to those permanently residing in the Philippines. Interested applicants should have Bachelor of Science in Nursing (four-year course) and passed the Professional Regulation Commission (PRC) board exam. Applicants should have at least two years experience as a nurse in rehabilitation centers, care institution, and in hospitals. 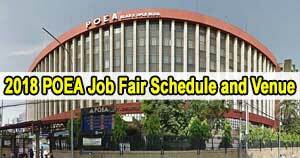 Qualified applicants can apply by registering online at poea.gov.ph or in www.eregister.poea.gov.ph. They should also personally submit the needed documents (see below) fastened in a folder with heading “Triple Win” at Windows S and T at the Manpower Registry Division, ground floor of Blas F. Ople building (formerly POEA building) located at Ortigas Avenue corner EDSA in Mandaluyong City. Applicants must present original documents for authentication of written documents prior to submission to employer. Deadline of submission of application is on October 23,2015. This is classified as government-to-government arrangement, incomplete applications will not be considered. 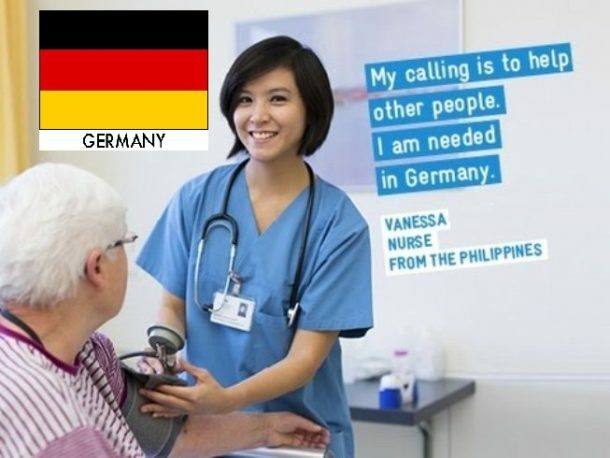 As of January 2016 there are total of 222 Filipino Nurses accepted in PH – Germany Triple Win Project (TWP). There are already 98 Filipino nurses deployed in Germany. These professionals were distributed to 14 employers (hospitals / facilities).